We are thrilled that our book Teaching Students to Drive Their Brains has launched in India. We look forward to answering reader questions from that part of the world. Direct instruction on how the brain learns best is an effective strategy, as borne out by Kim Poore’s experience in teaching a class of K-5 students with behavioral and emotional disorders in South Carolina’s Lancaster County Public School District. Ms. Poore, who earned her M.S. with a major in Brain-Based Teaching, was enrolled in the Ed.S. program, at the time of her interview with the BrainSMART publication, Effective Teaching, Successful Students. This coincided with her teaching in a Title I school with a diverse population. “I was able to take what I learned in just one lesson and use it in my class the next day,” said Ms. Poore in the interview. She pointed to several strategies from the BrainSMART book, 60 Strategies for Increasing Student Learning, that had immediate practical use in the classroom. Future Education Tokyo features several of our ideas and strategies as a part of a comprehensive and systematic plan to assist Japan as they seek to provide their young with a foundation for learning and skills so they can create their future. An article on the Tokyo website contextualizes the use of our BrainSMART strategies to help guide students to become metacognitive as a key aspect of active learning. Active learning and metacognition are featured in Japan’s new course of study to be implemented from 2020 forward. The writer indicates that people may have heard about metacognition in business seminars and employee training. However, connecting to insights from our articles, “The Boss of My Brain” and “Building A Metacognitive Classroom,” it becomes clear that educators and parents can assist students to learn how to use metacognition too. On a personal note, having recently returned from a trip to Japan where Marcus Conyers and I had opportunity to engage with many lovely and forward-thinking Japanese people, we are greatly pleased for our strategies to be seen as an aspect of the Japanese vision for education. Dr. Eithne Hunt, registered Occupational Therapist and lecturer in the Department of Occupational Science and Occupational Therapy at University College Cork, Ireland, includes one of Marcus Conyers’ and my strategies in an article for first-year students. I found this article a good read and imagine that it could be of great interest for students when they first leave home and go off to college. In this piece, Dr. Hunt references our BrainSMART strategy “Explain It to Your Brain” as a way to assist students to become more metacognitive. Being one of the more experienced teachers in the school, I am often given challenging classes to teach, and this did not change in 2017 (nor has it changed in 2018). In order to avoid bringing negative emotions into the next class, I made a point to collect myself during the walk to the next class. If any anger or frustration I was feeling was not shed by the time that I reached the next class, I made myself stand at the door, took three deep breaths, smiled, and walked in. During the times that the venue for back-to-back classes was the same, I made myself walked out of the classroom after dismissing the first class before the next class came in. Sometimes I went to the washroom, while other times I walked up and down the short corridor outside the classroom. The brief detachment from the physical environment helped me to reset my emotions before the next class comes in. As Donna and I prepare to present at the HBE Conference, which is taking place May 18-20 in Melbourne, Australia, we are delighted that our work has been featured in a leading teachers’ magazine based in New Zealand. Our article, “Building a Metacognitive Classroom: Engaging Students to Understand Brain Function,” appeared in a recent issue of Teachers Matter, a 76-page glossy, coffee-table magazine focusing on professional and personal development for teachers with circulation in New Zealand, Australia, and other countries. Thanks so much to Karen Tui Boyes, CSP, founder and director of Teachers Matter magazine, for reaching out to us to publish this piece that highlights our work in supporting teachers to assist students to become more metacognitive. The ability to understand and respect other individuals' points of view is a vital skill that students of all ages should learn. That was a theme that Donna and I stressed in responding to a question posed by Education Week as a part of the popular Classroom Q&A with Larry Ferlazzo. The question for this blog post was: "When two or more students are having a conflict, what are the most effective ways teachers can respond to the situation?" As we pointed out, students can be taught two valuable skills that will pay significant dividends throughout their lives—which is to identify, respect, and seek to understand points of view that differ from their own and to tailor their communications to their intended audience. Editor’s Note: In conjunction with the 20-year anniversary of BrainSMART, we are sharing some of our educators’ stories. All of the featured educators earned their Master’s in Brain-based Teaching curricula and/or the Minor in Brain-based Leadership, co-developed by Dr. Donna Wilson and Dr. Marcus Conyers, co-founders of BrainSMART. Below is a synopsis of one of those stories. During his time as a special education teacher with Bartow County Public Schools in Cartersville, Georgia, D’Jon McNair used BrainSMART teaching strategies supporting the concepts of state, meaning, attention, retention, and transfer to help students improve their performance in the classroom. Christena Nelson’s goal is to create a classroom environment where energetic, optimistic children are excited to learn, and the BrainSMART strategies are among her most useful tools in accomplishing that aim. She shared some of these ideas in an interview for the BrainSMART publication, Effective Teaching, Successful Students. At the time of the interview, she was teaching a year-round kindergarten class at Copper Canyon Elementary School in West Jordan, Utah. Ms. Nelson adapted many of the ideas in Donna Wilson and Marcus Conyers’ book, 60 Strategies for Increasing Student Learning, for use with her young students. Donna and I had the opportunity to stress the importance of teaching students about brain plasticity in responding to Education Week as a part of the popular Classroom Q&A with Larry Ferlazzo. The question for this blog post was: "What is an instructional strategy and/or teaching concept that you think is under-used/under-appreciated in the classroom that you think should be practiced more widely?" As we emphasized in our response, teaching students about how their brains change during learning can have a positively transformative impact in the classroom. This is something that is not traditionally taught in schools, but certainly deserves to be. When kids realize they can become smarter through study and practice, it often helps improve their dedication to the learning process. As a veteran teacher, Paul Farmer appreciated a fundamental principle of the M.S. program with a major in Brain-Based Teaching—that all students, even those with learning disabilities, can become functionally smarter when they are taught how to learn. “I am no longer content to see my job as an educator being limited to that of teaching A, B, C and 1, 2, 3, and I feel that such a limit is a disservice to the disabled students in my classroom,” said Mr. Farmer in an interview for the BrainSMART publication, Effective Teaching, Successful Students. “I feel that a greater and more profound service is provided by viewing all students as having the capability not only to develop their bank of knowledge and skills, but also their capacity to learn and function in the world in which they live. A productive learning environment puts the cognitive assets of Clear Intent, Practical Optimism, and Thoughtful Behavior to work on a daily basis, according to Theresa Dodge, who has taught in the Greenfield School District in Greenfield, Massachusetts, for more than 20 years. In responding to Education Week as a part of the popular Classroom Q&A with Larry Ferlazzo, Donna and I described the school principal's role in emphasizing teacher leadership and purposeful collaboration among teachers. The question for this blog post was: "What are the biggest challenges faced by principals, and what are the best ways to respond to them?" We point out in our response how quality of teaching has a significant impact on students' ability to achieve their full learning potential. Principals play an important role in elevating the level of teaching by understanding and emphasizing teacher leadership and purposeful collaboration among teachers to support effective teaching. Dr. Kelly Rose’s educational career has been greatly influenced by her studies of brain-based teaching. While earning her Doctor of Education (Ed.D.) in Instructional Leadership, with a Minor in Brain-based Leadership, she was teaching second year at Sullins Academy in Bristol, Va. She recalls asking students to write about their most important body part and was excited that many of them decided to write about their brains. Holly Linder has been known to sing the praises of her elementary school students in the Kent City School District in Kent, Ohio. She is a music teacher, after all, so any singing of praise—either literal or figurative—is highly appropriate. Sometimes, when her students’ voices are raised in song, Ms. Linder simply cannot contain herself. “I feel so good about them that I shout out the window how great they’re doing,” she said in an interview for the BrainSMART publication, Effective Teaching, Successful Students. What causes Ms. Linder to raise the window and her voice in praise is the effort that students put into improving their performance. As with any academic pursuit, meaningful musical achievements come primarily through hard work. This is something that Ms. Linder impresses on her students—that the work they’re doing in second grade is harder than what they did in first grade, and that it will be harder still in the third grade. However, with hard work comes the reward of becoming more accomplished musically. Teaching students basic knowledge about the brain’s potential can have a positive impact on their motivation, grit, and achievement. In particular, explicitly teaching them that learning changes the structure and function of their brains can be transformational in building a stronger belief in the value of working hard to master new material. Teachers who explain these findings report that the knowledge has a positive effect on students’ perceptions of their abilities as well as on their expectations for success. 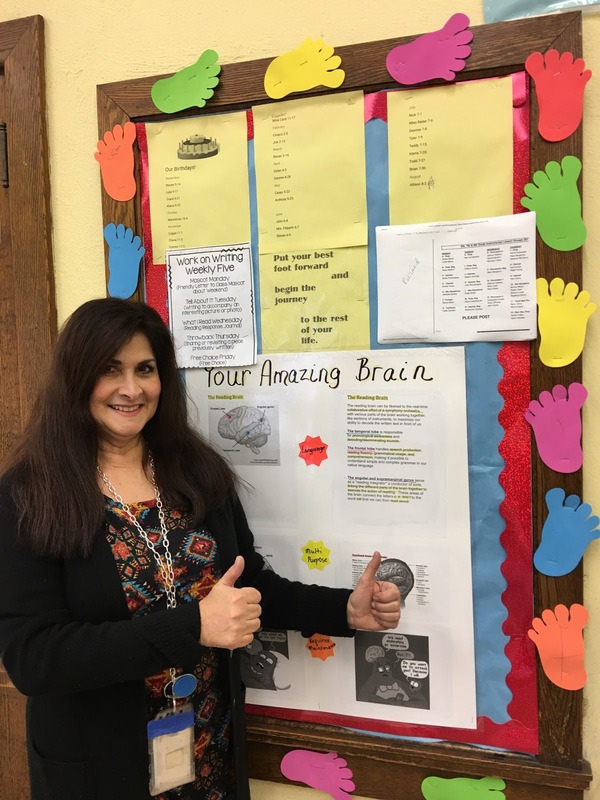 Maureen Ryan, known as “Coach Mo” to her students, credits BrainSMART’s Thinking for Results model for helping her to reach the “courageous learners” in her class. For many underperforming students, the biggest obstacle to success is their own preconceived notion that they don’t have the ability to excel academically. Jeremy Green, who has experience as a high school teacher and football coach, has seen firsthand the power of breaking down that misconception and giving students the confidence they need to move improve their performance and their lives. Donna and I describe memory scaping as a means of helping students retain information about social studies in responding to Education Week as a part of the popular Classroom Q&A with Larry Ferlazzo. The question for this blog post was: "Are there curricula or strategies I can use to make social studies exciting to my students?" Memory scaping is one of more than than 100 strategies that we have developed for use in the classroom. Memory scaping uses the power of location and movement, as well as episodic and sensory learning systems, to increase student engagement, attention, and recall of content. When teaching second-grade at Rockbridge Elementary School in Norcross, Ga., Mary Driskill discovered that a little bit of optimism can go a long way. While earning her Ed.S. degree with a major in Brain-Based Teaching, Ms. Driskill learned the concept of Practical Optimism that links positive expectations for learning with positive outcomes. She shared that concept with her students and was pleased to see the children employ more positive thinking to achieve better results. Editor’s Note: In conjunction with the 20-year anniversary of BrainSMART, we are sharing some of our educators' stories. All of the featured educators earned their Master’s in Brain-based Teaching curricula and/or the Minor in Brain-based Leadership, co-developed by Dr. Donna Wilson and Dr. Marcus Conyers co-founders BrainSMART. Below is a synopsis of one of those stories. Students are never too young to learn the value of metacognition. For several years, Regina Cabadaidis has taught this concept to her pre-K/K students at S.D. Spady Elementary School, a Montessori Magnet School in Delray Beach, Florida. Students in classrooms across the United States spend an estimated 85 percent of their school day on assignments that require reading texts. A key difference between students who can read well and those who cannot is the ability to use metacognition. Metacognition can be regarded as a conversation readers have with themselves about what they are reading. Metacognitive readers enjoy reading because they can find meaning in texts and think deeply to comprehend what they’re reading. Those who have not yet learned to be metacognitive often have trouble reading fluently and comprehending what they read. One of our strategies that teachers enjoy using at the end of the school year is a practical, easy-to-use tool we call Celebrating Learning With Year Mapping. This activity gives your current students a chance to feel good about what they’ve learned and provides incoming students an opportunity to see real evidence that they can be successful learners in the coming school year. And it gives teachers a chance to enjoy seeing students share what they’ve learned and to internalize their successful teaching. 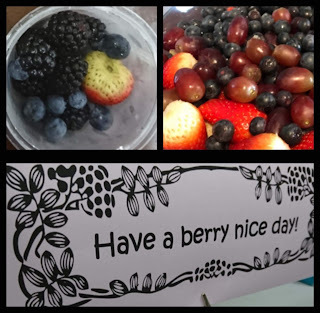 Several elements of this strategy make it a powerful way to end the school year with a positive experience, often much needed after testing is over and as a busy year comes to an end. With prompted recall, each student can remember learning events that mean the most to them. Year-end mapping utilizes the power of positive teacher-student relationships as well as personalized learning, summarizing, group learning, and organizing information graphically. It’s estimated that students in the U.S. spend nearly 20,000 hours experiencing classroom education by the age of 18, and that much of what is taught is forgotten within a short time. And there’s little evidence that they know how to apply effective learning strategies when they arrive at college. In essence, many students have not learned how to retain and apply knowledge. Fortunately, current research offers fascinating insights about the brain’s capacity to learn at higher levels when effective learning strategies are used. Marcus and I had an opportunity to stress the importance of teaching students about their brains and learning when responding to a question for Education Week as a part of the popular Classroom Q&A with Larry Ferlazzo. The question for this blog post was: "What is an instructional strategy and/or teaching concept that you think is underused/underappreciated in the classroom and should be practiced more widely?" In our response, we pointed out how teaching students about their brains can have a transformative impact in the classroom, but unfortunately the knowledge about how brains change during learning is traditionally not taught. Therese Reder has changed the way she teaches courtesy of principles she has learned since completing the BrainSMART program. Understanding the body-brain connection, she makes sure that students have the opportunity to move during the day to enhance their learning ability. The BrainSMART program has been excellent for teachers as well as for school administrators who are looking for principles to enhance their staffs’ professional and personal development. Retired principal Priscilla Bourgeois and teachers in her parish had a positive experience using the program to bring out the most in educators and students. Here is her description of her BrainSMART experience. I was pleased to be the expert voice in a recent article entitled "Learning on the Run," which appeared on Motiv Running, a website dedicated to helping runners of all levels run better, reduce injuries, and live an active, outdoor lifestyle. The article described the University of Oregon's "Run with a Researcher" program, which highlights the connection between running and learning. I confirmed the powerful connection between movement and learning, pointing out that the brain's central processor of learning and memory—the hippocampus—is larger among people who exercise regularly. Florida Teacher leader Beth Brissette used BrainSMART strategies and principles in the classroom as a means of motivating students to learn new things and grow new connections in their brains. Here, she describes how she used pipe cleaners as a visual aid for representing these new connections. In these demanding days of teaching in public education, what I learned from Marcus and Donna now 20 years ago has been my solace and inspiration. I’d also like to share how much the BrainSMART strategies enriched my teaching life and the day-to-day lives of my past second-graders. I believe the most powerful lesson to begin each year with was that of teaching about dendrites. Now that the holidays are behind us, we have been getting requests from people who are excited to learn tips on how to eat healthier in 2018! We thought it would be helpful to reprint our January 20, 2016, blog post from Edutopia on the topic. Here it is below, in its entirety. Teaching is a cognitively complex profession. In the course of a single school day, an educator must make hundreds of decisions and respond quickly to the myriad unexpected turns that life in the classroom may take. You have a high-energy job, so it's essential to prime your brain and body with the right fuel. But in the busy life of a teacher, who has time to think about healthy eating, much less sorting through the sometimes-conflicting claims about the nutritional value of various food choices? Unfortunately, the less we think about what we eat, the worse our diets may be—especially if we default to snacking on so-called convenience foods that are high in sugar and saturated fats and low in nutrient-dense ingredients that sustain energy levels. This past autumn, I was delighted to lead the development of our upcoming online video program, Teaching Students to Drive Their Brains: Metacognitive Strategies, Activities, and Lesson Plans, with ASCD. The video is based on research, development and practical strategies from the ASCD book of the same name, which I co-authored with Marcus Conyers. Both the book and the accompanying video highlight the principles of metacognition as a tool that helps students unlock their brain power and take control of their learning.